The Hirshhorn Museum and Sculpture Garden has announced the largest U.S. museum survey of works by London-based Italian artist Enrico David, on view April 16–Sept. 2, 2019. Named after his sculpture of the same name, “Gradations of Slow Release” characterizes the circular process commonly used in David’s practice. Activating themes of interiority, multiplicity, privacy, introspection and disembodiment, the artist’s work vacillates between feeling extremely contemporary in its expression while simultaneously appearing archaic. 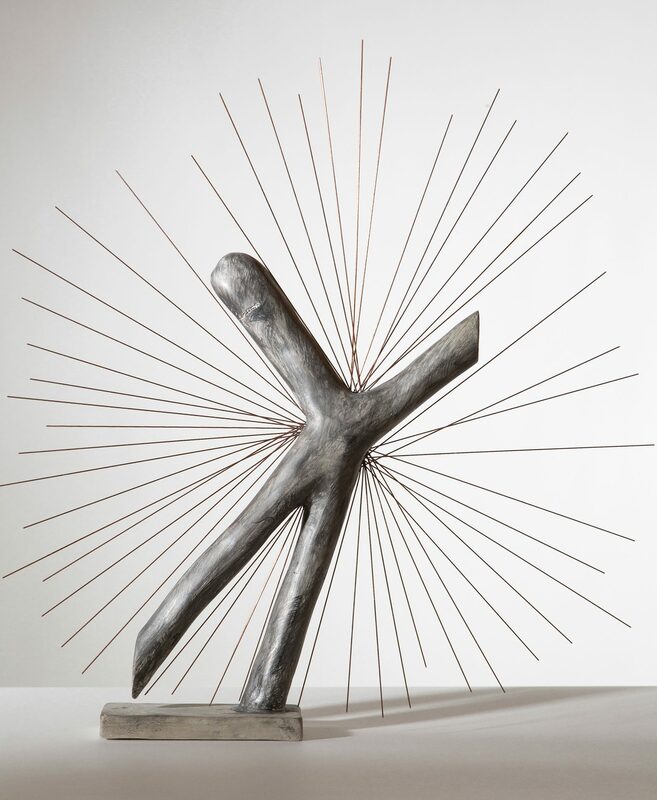 Curated by Michael Darling, Chief Curator at the Museum of Contemporary Art Chicago, “Enrico David: Gradations of Slow Release” will be on view at MCA Chicago Sept. 29–March 10, 2019. The presentation at the Hirshhorn is organized by Stéphane Aquin, Hirshhorn Chief Curator. David has distinguished himself as one of the most original artists working today, fashioning a universe of imagery that revolves around the human figure and its many states of being. Using a wide range of media—including sculpture, painting, textiles, installation and works on paper—David creates an encyclopedic, yet personal accounting for the human form, from fragile and vulnerable to grotesque, tortured and ecstatic. Using drawing as an entry point for making work in all forms, David weaves together techniques including industrial and craft traditions, thematically focusing on the fluid and impermanent state of the body. Art historical, literary and autobiographical narratives inform his practice. David (b. 1966, Italy) lives and works in London. His work has been the subject of numerous exhibitions worldwide, including “Fault Work” at Sharjah Art Foundation, Sharjah, United Arab Emirates (2016); “Autoparent” at Lismore Castle Arts, Ireland (2016); The Hepworth Wakefield, England (2015); Maramotti Collection, Reggio Emilia, Italy (2015); Hammer Museum, Los Angeles (2013); “Head Gas” at New Museum, New York (2011); “Repertorio Ornamentale,” Fondazione Bevilacqua La Masa, Venice, Italy (2011); “How Do You Love Dzzzzt by Mammy?” at Museum für Gegenwartskunst, Basel, Switzerland (2009); “Bulbous Marauder” at Seattle Art Museum (2008); and “Ultra Paste,” ICA London (2007). In 2013, David presented a major installation of paintings, tapestries and sculptures as part of “The Encyclopedic Palace,” curated by Massimiliano Gioni for the Venice Biennale. Image: Enrico David, “Tools and Toys III,” 2014. Jesmonite, graphite, and copper. © Enrico David. Courtesy of Michael Werner Gallery, New York and London.